You can get life insurance approval with Hypothyroidism! Having trouble finding affordable life insurance with Hypothyroidism? Can I Qualify for Life Insurance if I have Hypothyroidism? Yes, most individuals with Hypothyroidism will be able to qualify for traditional life insurance, the type of insurance which requires a medical exam. Best Case Scenario – Most cases of Hypothyroidism that are detected early, and the symptoms of general fatigue, absence of menstruation or poor memory are controlled will usually qualify for a “Standard” rating. It is, however, important to establish the absence of complications such as Myxedema coma, where there is an uncontrolled very low level of thyroid hormones. Click here for quote at “Standard”. How many years have you been diagnosed with Hypothyroidism? Hypothyroidism is a non-preventable condition that requires a lifetime management, but if detected early and the signs of fatigue, constipation and other symptoms are controlled; there is a good chance of getting the best rating at “Standard”. Symptoms of unusually low levels of the thyroid hormones, low blood pressure and temperature and abnormal breathing may be a flare sign of a serious condition called Myxedema coma. This is a rare but serious complication of Hypothyroidism. In these cases, further evaluation will be required to determine the absence of other complications before a rating can be given. Are you regularly taking your medication? 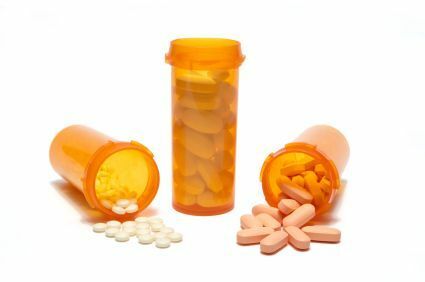 The need for regular administration of medications (levothyroxine / L-thyroxine) is critical because your condition will be determined by the control of the symptoms. Good control will get you a “Standard” rating. Regular visit to your endocrinologist is a good sign of control of the condition and may get you a “Standard” rating. It is, however, necessary for laboratory and diagnostic exams to confirm the absence of complications such as Myxedema coma. Recent laboratory tests for T3, T4 and TSH are the best ways to assess your actual condition. This may also confirm your compliance with your physician’s management. Other conditions such as heart or kidney problems may be related or may trigger further complications to your Hypothyroidism. In these cases, further evaluation is necessary. Hypothyroidism is also known as low thyroid or underactive thyroid in more common non-medical terms. It is an endocrine condition where the thyroid glands cannot produce the appropriate amounts of the thyroid hormones. The most common cause is due to iodine insufficiency or over administration of drugs to control hyperthyroidism. Other causes of Hypothyroidism include the autoimmune disorder, Hashimoto’s thyroiditis, injuries to the anterior pituitary gland or hypothalamus, over administration of radioactive iodine drugs, post-surgical complication or genetic dysfunction of the thyroid. With low thyroid hormones, a number of symptoms accompany it such as intolerance to very cold temperature, easy fatigability, dry skin, hair loss, absence of menstruation, poor concentration and memory, and unusual weight gain. In children, it also causes delayed mental and physical growth. 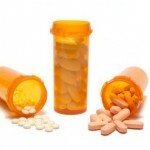 The most widely used treatment for Hypothyroidism is the administration of manufactured levothyroxine. The dose is modified depending on the blood results of TSH, T3 and T4 levels. See all our other articles on Hormonal Disorders and Click Here!